FREQUENCY OF CLASSES: We offer classes everyday (except Sunday). Our classes are available in the mornings, evenings and on weekends. 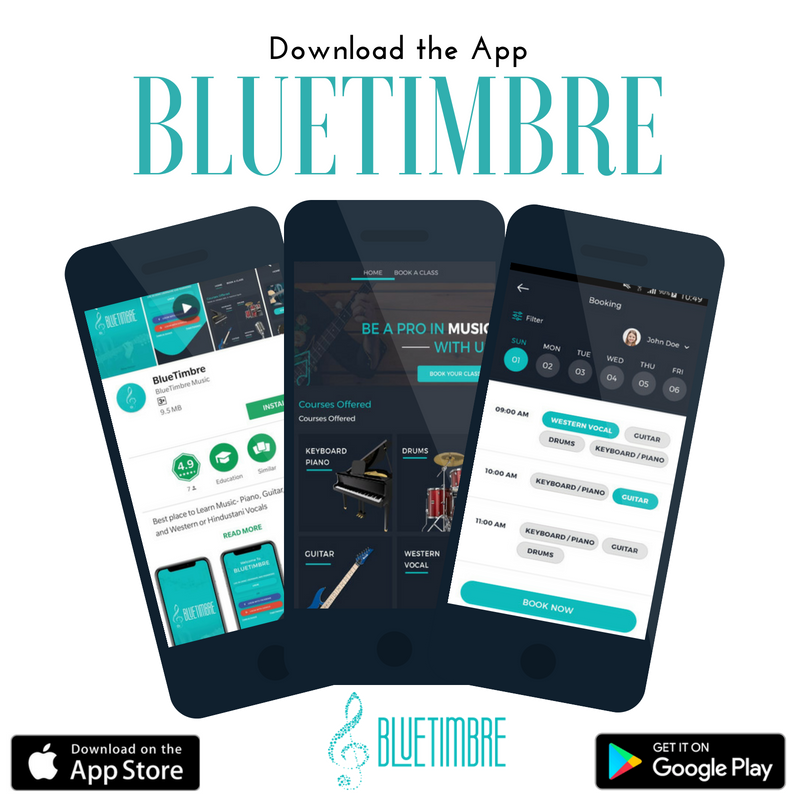 We offer one FREE DEMO class so that students can understand what BlueTimbre classes have to offer. INFRASTRUCTURE: BlueTimbre provides Keyboard(s), speakers and books in the class. On occasion, students may be introduced to the microphone and have to learn to sing using the same. Our students also get a chance to ‘jam’ with instrumentalists. PERFORMANCE: BlueTimbre students get access to an exclusive opportunity to perform at our Musical Event – the BLUE BOX EVENINGS every month*. BlueTimbre also hosts Annual Concerts at Popular stages such as Phoenix MarketCity Mall, Forum Mall etc. 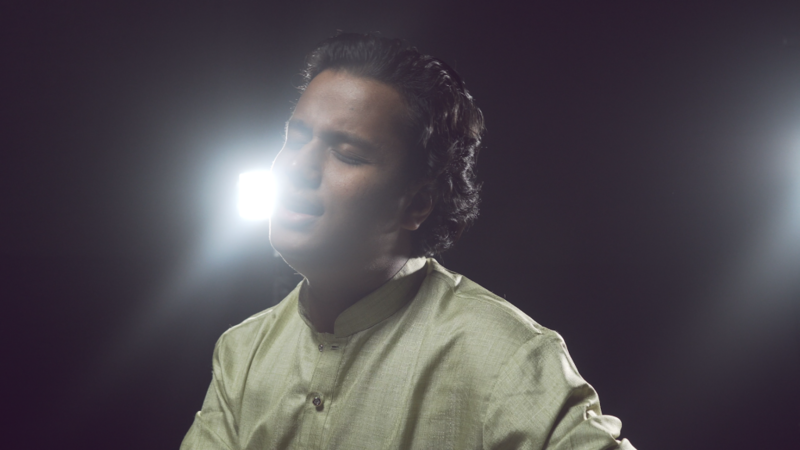 Our Hindustani Vocals course has been developed with guidance of experienced and trained Hindustani vocalists. The courses are designed for contemporary vocalists to take your singing from an amateur level to a professional level. The course focuses on setting a solid foundation for your musical development by combining both theory and practical application. The course features the fundamentals of music and understanding your voice, along with technical exercises, reading and writing music, aural practices, workout pieces, improvisation techniques, music theory, music appreciation and general musicianship. The course begins with introduction to vocal exercises – Riyaaz (Swar Sadhna, Alankaars, Rhythmic Swar training). The course has contemporary songs, allowing you to learn based on your favorite type of music. It allows you to develop your natural voice to perform at professional levels on a stage. The main highlight of this course is learning classical techniques but in a contemporary setting with songs. You will have an opportunity to jam with fellow students and teachers across various instruments’ and form a band. For the performers, you will even have an opportunity to create your own tracks at our state-of-the-art recording studio.